The factory assault on sheep prices resumed this week. Factory quotes for lamb this week range from €4.80/kg to €4.90/kg, before bonus payments, which is from 5-10c/kg less than last week. Quotes for cull ewes remain unchanged at all plants except the two ICM’s which clipped their quote by 10c/kg. This week’s price table therefore reads as follows. Despite cutting its quote by 10c/kg to €4.90+10c/kg quality bonus (QA) Kildare Chilling still remains top of our price tree. It is followed by Kepak Athleague which dropped its quote from last week by 5c/kg to match Kildare’s €4.90/kg but with just a 5c/kg bonus. My Kepak source also mentioned that this quote was for Tuesday only. Moyvalley also falls back 10c/kg to line up beside the two bigger boys on €4.90/kg. The two ICM plants keep the tune going as they to drop this week’s lamb quote by 10c/kg and settle on €4.80/kg+10c/kg QA, while Dawn Ballyhaunis rounds out the table on €4.80/kg which is also 10c/kg less than last week. As mentioned at the outset, cull ewe quotes are stable except for the two ICM plants which quoted €2.60/kg yesterday morning – back 10c/kg on last week. That then left both Dawn and Kepak unchanged on €2.60/kg, while Kildare also remains steady but at the higher mark of €2.70+10c/kg QA. Both IFA’s sheep chairman Sean Dennehy and ICSA’s John Brooks agree that there is strong demand for lambs but factories are holding a hard line on price. Both men report lambs as making from €5-5.10/kg. 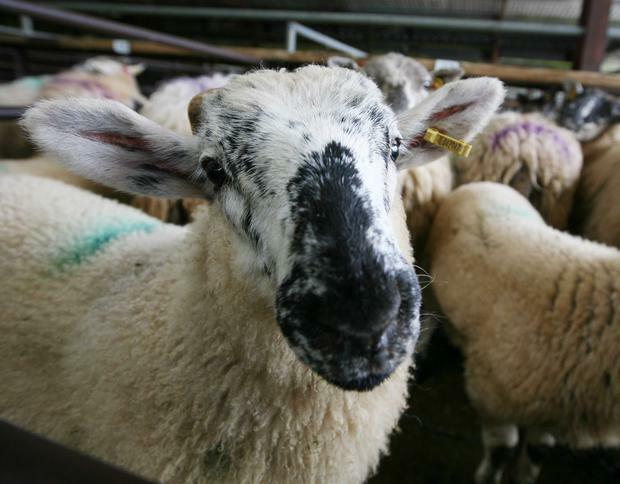 On ewe prices, the farm organisations were reporting yesterday that up to €2.80/kg was achievable. On the mart front, Sean Dennehy said with grass supplies improving demand for store lambs is increasing, with top quality stores making €2.00-2.10/kg and lighter stores making up to €2.00/kg. There is no doubt that the improved grass situation has helped the store trade at marts but numbers are growing and with factories tightening the screw on lambs and ewes those buying stores will not be inclined to get to carried away. Returning to factory prices, where has the pressure come from this week to enable factories to slice the price? Mart reports indicate that there are big numbers of sheep in the system and it is understandable that when the numbers come out factories always find it difficult not to wield the price-reduction knife. However, the 7,494 sheep brought into the Republic last week for direct slaughter have to have helped the factories worry the pitch for Southern lamb prices. Checking back to this week last year that 7,494 figure was 1,867 less at 5,627. It is a trade that is essential to Northern producers but one that on occasion has had question marks over it. Southern producers have in the past expressed concern that some of the lamb coming out of the North for slaughter here may have originated in Scotland or the north of England. How would this trade survive a hard border situation I wonder?